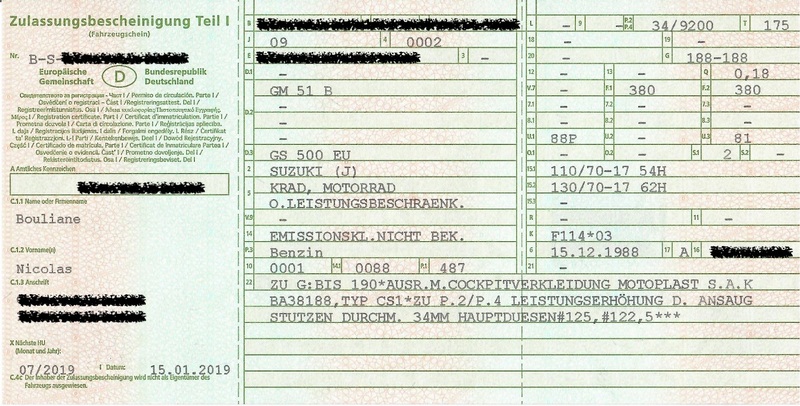 The Zulassungsbescheinigung is a vehicle's registration papers. In Germany, this document has two parts. The first part (Teil 1) folds to the size of a business card. You must carry it with you. The second part (Teil 2) is the size of a sheet of paper. You must leave it at home. You get a Zulassungsbescheinigung when you register the vehicle in Germany. 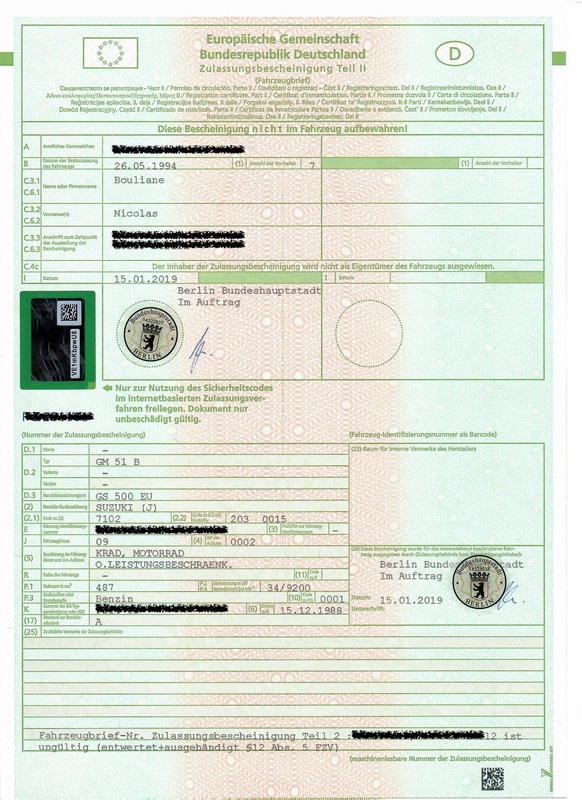 The Zulassungsbescheinigung replaces an older type of registration paper, the Fahrzeugbrief.